Pepperstone is a very popular online broker that is licensed and regulated by ASIC Australia and the FCA in United Kingdom. They are officially owned by the Pepperstone Group Limited, which is located at: Level 5, 530 Collins Street, Melbourne VIC 3000 Australia. Contact phone number is +61 3 9020 0155, and their email is support@pepperstone.com. Official Website: https://PepperStone.com. For complaints and withdrawal problems, read this. As the leading Forex broker in Australia they offer a very wide variety of currency pairs and crosses for every type of Forex trader. They are not just a simple Forex broker, but rather the leader in Forex, Crypto Currency CFD’s, Shares, Indexes, Options, & Commodities. At this broker, you will have access to every trading platform you will ever need. 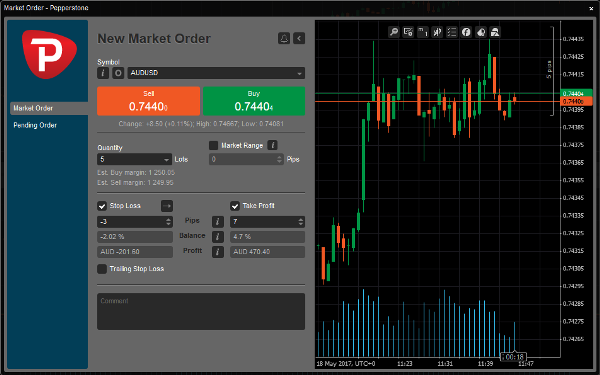 Besides the standard MetaTrader4 desktop, web-trader and mobile apps, they now have the new MetaTrader5 and Smart Trader Tools, look here. cTrader is a unique and very powerful trading platform, that comes in web trader and desktop versions, along with the Algo trading module. Advanced investors and connect via API and also manage MAM and PAMM trading accounts. This broker offers various trading account types, to accommodate all levels of investors. There are four account types to choose from, based on your style of investing; Standard, Razor, Islamic Accounts and the Active Trader Program. The main difference between them is the fixed spreads, minimum trade size, commissions, scalping, EA and Hedging. For a new trading account, the minimum deposit requirement is $200, see here. Pepperstone is licensed by various financial regulators depending on your country of residence. Pepperstone Group Limited is regulated by ASIC Australia with AFSL number 414530. Pepperstone Limited is regulated by the UK Financial Conduct Authority, number 684312, located at: 107 Cheapside, London EC2V 6DN, United Kingdom. Using a United Kingdom FCA licensed broker means that your money is insured up to £50,000 by the Financial Services Compensation Scheme Protection. Also, your money is kept in a segregated account at; the National Australia Bank in Australia or at Barclays in the United Kingdom. Comparing between different Forex brokers is actually very easy, once you know what to look for. The first thing to check for is a valid license from ASIC or the FCA. 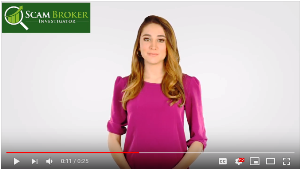 A legitimate broker is licensed and regulated, a scam broker is not. If you were solicited by a phone call from a broker offering to manage your money, you can be sure that they are a scam. Plus500 is popular broker for investors and CFD traders in Australia. The are authorised by FCA UK and ASIC. Go see their Free Demo Account at: Plus500.com. If you already have a trading account with this broker, please share your experience in the comments section below.